“Are you the One” that folks is without a doubt the most important line in the entire book and most likely the basis for the sequels to come. He’s unsure of himself,wonders how he got thrust into this role but is willing to go forward with this responsibility his heritage has thrust upon him. He goes from a lonely kid sitting at home one night to going nose to nose with a Dragon no less AND saving his new friends from a bunch of thugs with guns.Could be he’s got a little ” Frodo Baggins”in him . Along the way we meet Uncle Dominick, a little girl named Xana , Mario a poor Mexican orphan and of course the Cuelebre better know as Ix-Tub-Tun. Then there’s the assorted bad guys. Thank you for sharing your thoughts about Dragon Defender. I’m glad you enjoyed the book and I’m looking forward to the sequel as well. I’ll be sure to tweet about the giveaway for the book as well as your review. 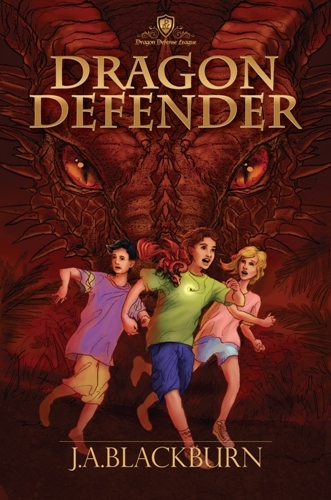 Thanks for taking part in the Dragon Defender Blog Tour. Im new to the site and just loving it! thanks! I love bookroom reviews. Thank you for the giveaway! and I love the font in your comment section!